What's The Most Awesome Car Hack No One's Heard Of? Automakers like you to believe that their cars are perfect, untouchable machines incomprehensible to you, an incompetent human. Sometimes, you can make things better. 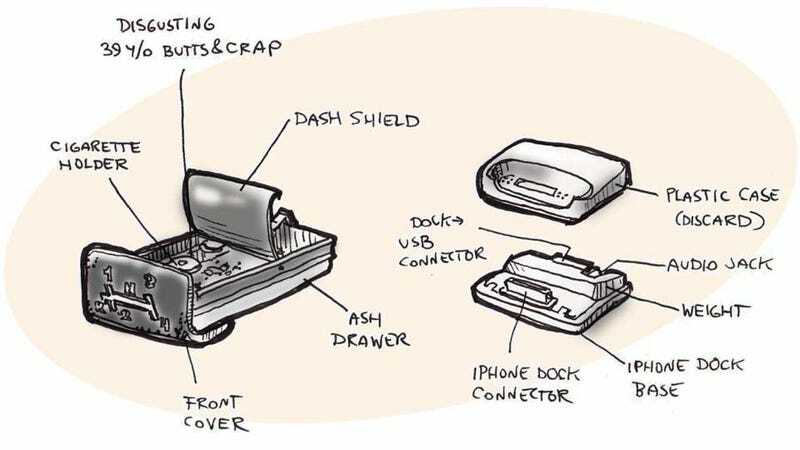 Take, for instance, this hack to turn your car's ashtray into a smartphone dock. There's nothing in the manual that says you could or should do it, but it works. There are tons of other hacks, too, from simple cheat codes in car's programming to more DIY stuff like the iPhone dock. What's your favorite car hack, factory secret code or otherwise? Surely you've seen some cool mods.